While they work on a new album at DFA Studios, at least one member of Montreal indie powerhouse Arcade Fire is pulling double duty. Multi-instrumentalist Will Butler is currently hard at work on a score for a short film. The film is being directed by Jeff Newburg and is called Home Burial. 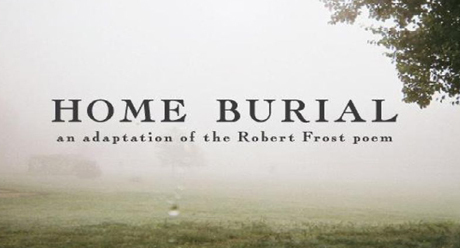 The short is based on the Robert Frost poem of the same name. The filmmakers describe the project as "a blend of impressionistic exteriors and grounded interiors, modestly accenting an earnest period film." Butler himself explains his intentions for the score, saying, "The music for the short film will hopefully evoke Robert Frost–formal but conversational; embedded in the early 20th century but still relevant. Darker than you might expect. Bartok meets John Carpenter." Home Burial is still in pre-production stages, currently seeking to raise $10,000 on Indiegogo. You can also check out a trailer below. Thanks to HitFix for the tip.